Following an easy flight and a considerably less simple time trying to negotiate a taxi transfer, we arrived at Iberostar Cancún to a captivating sight. Checking in at the premium gold level, we were seated in a cool glass and white box looking onto an impossibly light blue ocean and the region’s famous white sand. It felt like arriving on Abramovich’s yacht, Eclipse, with icy beers and handmade sandwiches smoothing our admission into this impeccable all-inclusive property. We checked in to our rooms in the beachfront villas, noting the large rectangular pool that merged with our patio, chaise lounges already wading in the shallow end, and a semi-private beach waiting beyond it. 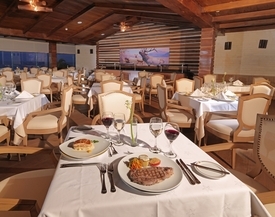 That night, we dined on fat sausages, tender marinated arrachera hanger steak and sumptuous ribeye at steakhouse La Parilla, with a nearby buffet offering endless ceviche, guacamole and mussels, among other sides. 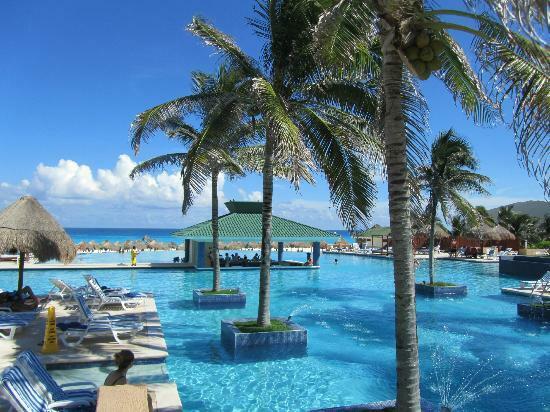 The service, as we typically found throughout Iberostar, and all of Mexico for that matter, was attentive and kindhearted, crowned with a ballad from a mariachi trio winding around the tables. After a comfortable sleep in a king bed, we stepped straight through the patio doors and into our patio-pool, before the sun could unleash its total fury. A dip in the surf was followed by some playtime in a pool riddled with waterslides and fountains, for the youngest member of our team, who also delighted in pool games, iguana sightings and hammock naps in this paradise for families. Meanwhile, the parental part of the equation appreciated a swim-up cocktail bar in a massive infinity pool that appears to unite with the marine horizon. 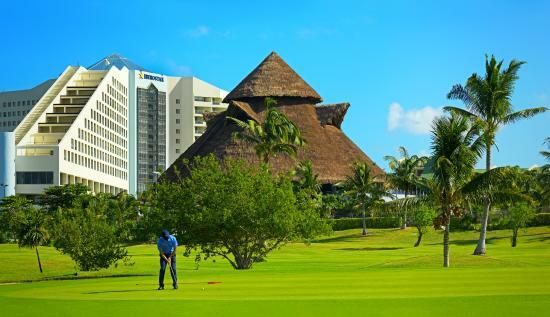 The grounds of Iberostar are beautiful all over, layered with waterways, jungle vistas and stunning modern materials. We enjoyed local fish and salad for lunch, making dinner reservations at a pan-Mexican restaurant El Maguey with the beyond helpful front desk staff, who went beyond the norm to make sure everything ran smoothly and comfortably, be it an excursion to Tulum, finding a misplaced sippy-cup or seeking an adrenaline-rush in the ocean. Our time at Iberostar had a dream-like quality, running smoothly from pleasure to pleasure and wonder to wonder. 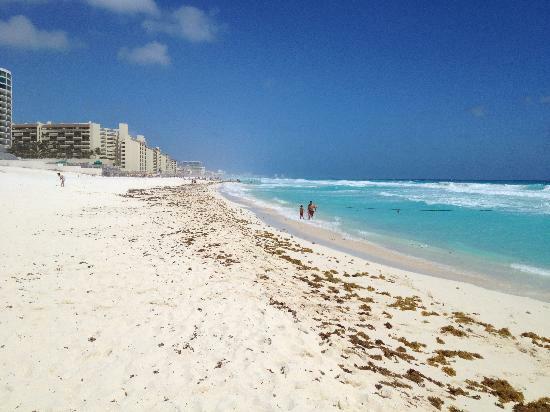 In so many ways, it was the perfect place to go for the kind of Cancún escape one imagines when planning a vacation there. 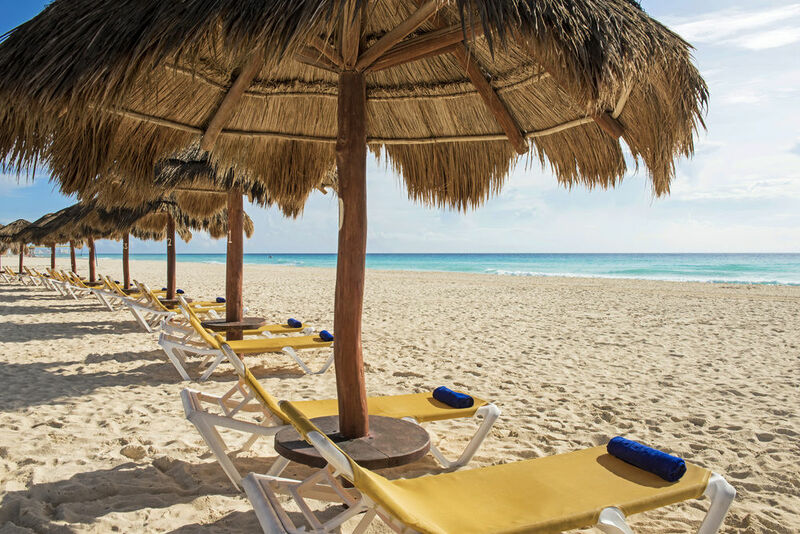 In fact, there’s one important thing that really distinguishes Iberostar from many other Caribbean resorts we’ve seen in the past few years, including on the Riviera Maya. And that’s those famous white beaches. A plague of red seaweed known as Sargasso has been devastating holiday experiences around the region, falling relentlessly and decaying across beaches once known and frequented for their beauty and often making turning unswimmable. We didn’t see this problem at Iberostar, allowing us to run on the beach and jump in and out of the ocean all-day, as we pleased and expected. Whether it’s a matter of a blessed location or the same hidden magic we’d seen at play so many times at Iberostar, we’re not exactly sure. But we wouldn’t be entirely surprised if it were the latter. 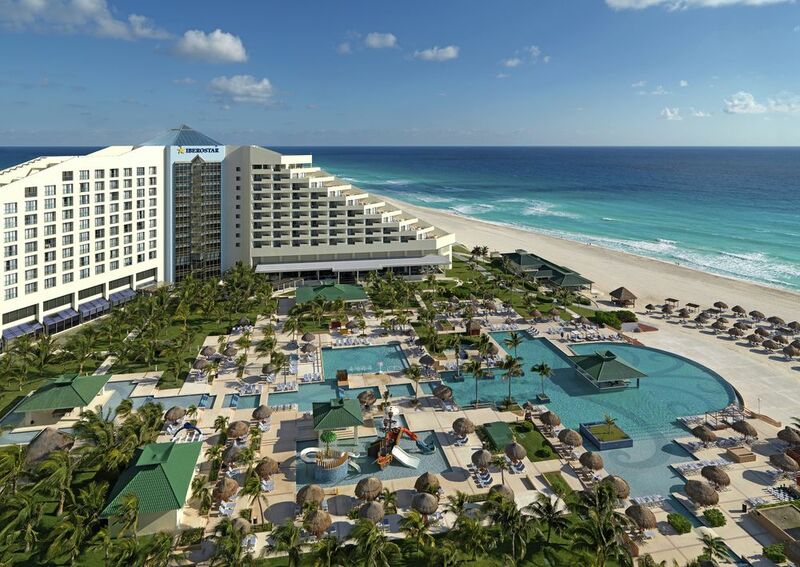 Iberostar Cancún, https://www.iberostar.com/en/hotels/cancun/iberostar-cancun.